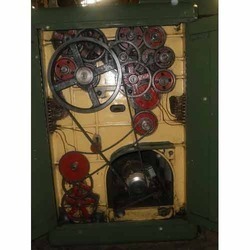 Pioneers in the industry, we offer jute first drawing machine, first drawing machines, fine side first drawing machines, screw gill second drawing machine, coarse side screw gill first drawing machine and fine side first drawing machines for sugar industry from India. 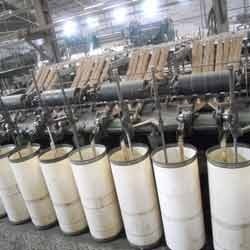 Jute First Drawing Machine is a process for reducing Silver width and thickness by simultaneously mixing 4 to 6 Silver together. 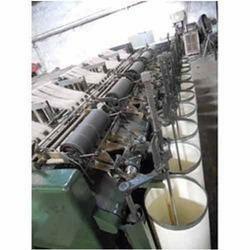 There are three types of drawing frame machine. In most mills 3 drawing passages are used in Hessian and 2 drawing passages are used in Sacking. The Silvers obtained from finisher carding machine is fed with four Silvers on to the first drawing frame machine. The first drawing frame machines makes blending, equalizing the Silver and doubling two or more Silvers, level and provide quality and color. 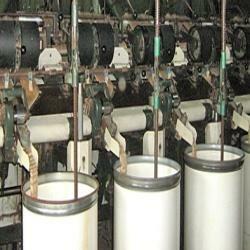 We manufacture and supply all kinds of drawing machines. We offer a wide range of First Drawing Machines. 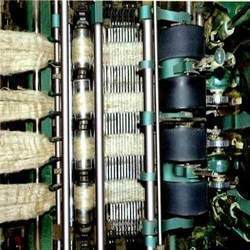 Designed to cater to the requirements of diverse applications of engineering industry, these machines help in the drawing of jute fibers. The Fine Side First Drawing Machines is a metalworking process which uses tensile forces to stretch metal. It is broken up into two type’s sheet metal drawing and wire, bar and tube drawing. The specific definition for sheet metal drawing is that it involves plastic deformation over a curved axis. For wire, bar, and tube drawing the starting stock is drawn through a die to reduce its diameter and increase its length. We manufacture and export drawing machines with custom designing to meet client’s needs. Screw gill 2nd drawing machine and inter drawing machine having 5 heads 10 deliveries (8 Silver per head & 2 deliveries per head) 12” reach, fitted with back uprights for can feed at back and can turning & packing motions with high-density packers at delivery, complete with electrical. We have unmatched quality and unique designs of screw gill 1st drawing Machine having 5 heads 5 Deliveries, built-in with roll feed at back that can turn & pack its motions with high-density packers, which is of complete electric. Our products are heavy weighted, that they are capable of carrying load. They are durable, and have high sustainability. We manufacture these 5 Heads 5 Delivery products with standard quality materials. These are available in different sizes, shapes and designs as per client requirements. Looking for First Drawing Machine ?